ICE CREAM, ICE CREAM! 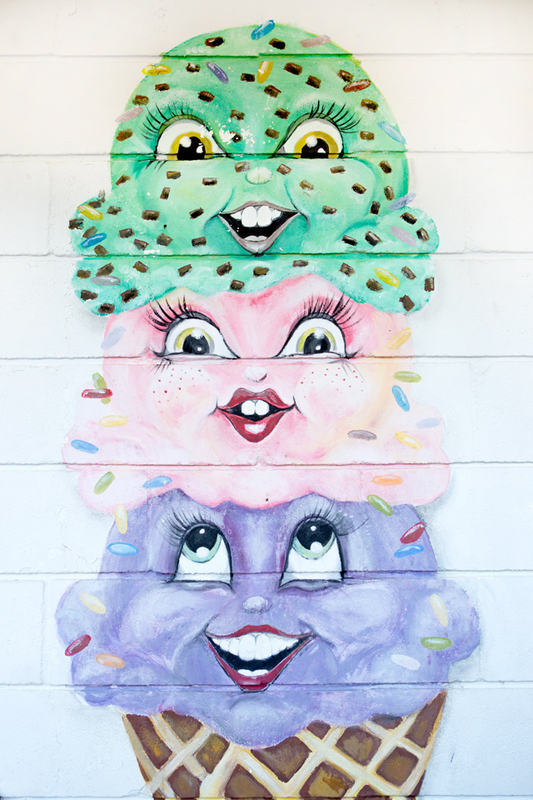 WE ALL SCREAM FOR ICE CREAM! ICE CREAM, ICE CREAM!! WE ALL SCREAM FOR ICE CREAM!! Especially when that ice cream is from…MAGIC FOUNTAIN!! For those of you that have read the story behind northforkin' and where the idea for this business originated, you will know that this first "where the fork to go" blog post is only natural. But for those of you that haven't ventured onto our website before reading this post, or even if you have and just haven't visited the "our forkin' story" section (yet!! ), here's a brief back story. I, Elizabeth Anne Doroski, grew up here on the North Fork of Long Island, born and raised, and have lived in Laurel, Cutchogue, and for the majority of my life, and currently, in Mattituck. I graduated from Mattituck High School. My parents, grandparents, and even great grandparents are from here. On the maternal side of my family, my ancestors were some of the founders of Southold Town. The North Fork is in my blood. Even while away at college (GO VILLANOVA!) and dental school (I guess yay Stony Brook too), I continued to come back to visit frequently; weekends, summers, any chance I got. And during those first 32 years of my life, it would have been impossible to not notice the changes slowly taking place. Wineries, breweries, restaurants, and so much more popping up, ready for us locals to enjoy, but also increasing the tourism in this area. First only in the summer, but slowly extending as early as the spring through to the fall. And then winter. Memorial Day weekend 2014, I was standing in line at…you guessed it!…MAGIC FOUNTAIN! !…waiting to get a delicious and refreshing perfect scoop of mint chocolate chip ice cream in a sugar cone. After waiting in line for over an hour, I was (I'm not going to sugar coat it) ANNOYED!! An hour for ice cream!!?? Are you kidding me!!?? Are you forkin' kidding me???!! And then my wheels started turning. For the rest of the weekend I kept thinking about it…forkin', northforkin'…and kept thinking and thinking and shall we say, thinkin'? For the next three years the idea would occasionally pop back into my head. I would jot down some more ideas in my phone and then would put it on the back burner for awhile, and the cycle continued…until the Summer of 2017. And the rest was forkin' history. You can visit the "our forkin' story" page for the rest, but now, let's get to the good stuff!! So Magic Fountain, located in Mattituck, NY. Sometimes I think of it as the "gateway to the North Fork", but while that makes sense for someone living in Mattituck just east of it, the North Fork technically starts about 10 miles west of it. So let's think of it as a local landmark, one of the "Magic Wonders" of the northforkin' world. Magic Fountain is a family owned and operated business that first opened in 1966 as a Dairy Queen, which was then sold to another owner and renamed in 1977. In keeping with the history though, the Dairy Queen girl still has her perch atop the signature orange roof. All of the ice creams are homemade, and they also have a selection of yogurts, sorbets, flying saucers, dog treats, ice cream cakes, and other human treats. Can anyone say fudge nut bar? And let's not forget their famous variation on a milk shake, the Magic Wonder, your choice of ice cream with your favorite candy blended in. Hello Chocolate Heath Bar. And while I'm going to focus on their ice cream, I also want to take a minute to honor their ice cream cakes that can be made to order (although I don't think they will do custom orders during the busy summer season). This year for my birthday my parents got me the most delicious custom ice cream cake with…you guessed it!…mint chocolate chip! SIMPLY AMAZING!! 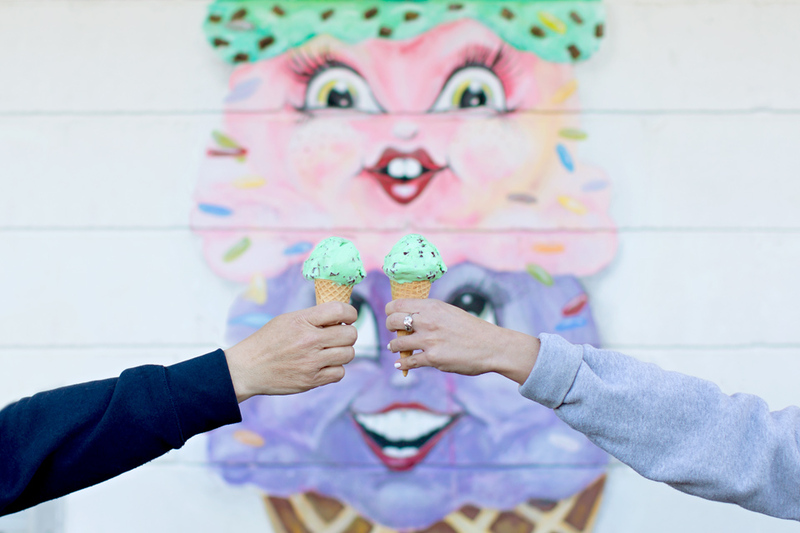 But beyond your regular standard flavors of ice cream, Magic Fountain has the knack for creating these delicious ice cream flavors using what some would think of as unconventional ingredients as well as creative combinations that just simply work. Some of my favorites over the years (when I can drag myself away from ordering my usual MCC) have been Banana Butterfinger, Coconut Avocado, Chocolate Chili, Fig and Honey and Cherry Pistachio. I probably could list several more too. But I seriously think you can't go wrong with any ice cream flavor or any treat whatsoever at this place. And now that they serve some sugar free and vegan options, I think everybody can find something to love here. So if any of you reading this (you guys are still reading, right?) haven't been to Magic Fountain, I strongly urge you to try it. It's truly a taste of the North Fork. And for those of you that have tried it, next time you are there, just think of how lucky we are to have a place like this close by. And maybe you will smile just a little more knowing that this is a place where dreams are made, ice cream and otherwise. DISCLAIMER: I AM NOT A WRITER. MY GRAMMAR SKILLS ARE SUBPAR. I HAVE NEVER WRITTEN A BLOG IN MY LIFE. UNTIL NOW.